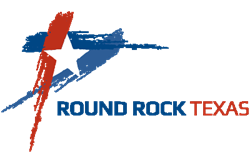 ​​​ROUND ROCK - City, police and fire officials gathered to break ground on a multi-million dollar public safety training facility to be shared by both Round Rock police and firefighters. Plans for the facility include an over 65,000-sf main building with a 12-lane, 50-yard firing range, classrooms, fire simulators and locker rooms. The new facility is planned for land north of the Round Rock Police Department on North Mays St. The total project cost is $29.4 million, with $27.4 million being funded by a 2013 voter-approved bond and $2 million from the city’s General Self Finance Construction fund.